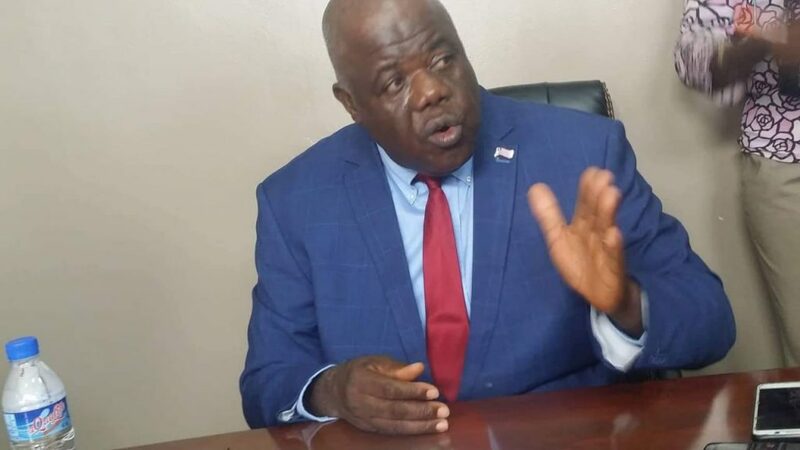 MONROVIA – Senator Gbleh-Bo Brown of Maryland County believes that other Supreme Court Justices still on the Court’s Bench and who along with impeached Justice Kabineh M. Ja’neh, signed onto the road fund petition, should also be removed from offices, too. Justice Ja’neh was the Justice in Chamber when the Road Fund petition was signed by all five Supreme Court Justices, including Chief Justice Francis Korkpor, who presided over the impeachment proceedings in the Senate, where senators voted to remove Ja’neh from office. The Maryland County Senator disclosed that he was one of the senators who hooked Ja’neh on that Road Fund, which was one out of four counts leveled against the former Supreme Court Justice. Majority senators found Justice Ja’neh guilty for granting a Writ of Prohibition filed by owners of Srimax and Aminata, two petroleum dealers, to stop the collection of levy/taxes of US$0.30 imposed on the pump price of petroleum products. Sen. Brown’s admittance ends doubts about how he voted. Twenty-two senators voted to remove Ja’neh; four voted against his removal, while three abstained from the process amounting to a total of 29. Senator Brown has been a strong voice in the Senate especially when he spoke to issues of Ja’neh impeachment. He was among few senators, who felt Ja’neh’s impeachment was unconstitutional; however, he disclosed that he voted to remove the man in protest of colleague senators, who had allegedly breached their discussions. Few hours before the senators had gone to cast their votes, nine of them had signed a resolution abstaining from the process. Sen. Brown was one of the nine. According to him, he later decided otherwise because his colleagues made the list of those nine senators public thereby making them to appear as “heroes” in the eyes of some members of the public and demeaning their remaining colleagues. He further argued that by displaying those nine names publically, other senators who did not sign their resolution but had intention to vote against removing Ja’neh changed their minds and voted his removal. “Two of our colleagues, who gave us their commitments in confidence said, the press conference made them look bad and made heroes of the nine of us. So they were not going to go our way. That press conference exposed our weakness. It showed that we did not have the number so even if nine of us had voted, it would not have made a difference; we needed just one more persons to be added to us. They made we lost it. Even though he voted to remove Ja’neh, the Maryland County Senator regrets the outcome of the voting process. “My only regret I have honestly in my heart is that is the results we have now. I wish we did not have it. I feel deep in my heart that we need to protect our democracy and to do that we need a critical voice on that bench. The Maryland Senator believes that the independence of the Legislature is a work in progress, admitting that this independence is still far from being achieved. “Before the 2017 election, many of us saw the need to make the Senate an independent body. We went for a mini retreat. What I desire is for the Senate to be independent and not necessarily mean fighting the Executive. “There is still much room for improvement because I feel my colleagues and I have some works to do in terms of independence. Judging from my understanding of independence, we are not there yet,” Brown admitted.